In other words — uh, in actual words — I’m on a green and gray kick, with red popping in here and there because red is always welcome. There is no doubt about that. Now, will I ever actually get a new winter coat? That’s another story. I’m still wearing t-shirts here, so I have a little time to go before I remember how much I hate the two coats I own. Are you getting a new coat this year? Are you gravitating toward any particular colors? I like #2. I prefer wearing black in general. I like black as well, but I’m super tired of my black coat and desperate to change it up a little. I wish I was rich! *sighs* I love them all, specially number 3 and the navy leather jacket. I like the inspiration I get from these and from expensive clothes in general, as a clothing designer. Sadly I’m still a good ways away from being able to work with thick wools or leather, ha. One of the stores I looked at – all merchants that work with Skimlinks – only had coats for over $1,000. I didn’t even like any of them! I really like four – so pretty! :) Now I want to go coat shopping! I… never want to go shopping, unless it’s online. But I really want a coat that fits me right (read: form-fittingly and tightly) so I’ll probably have to brave the shops at some point. Not yet though! Not cold enough! Beautiful .. and yes, I couldn’t bother affording those right now. But thankfully I’m moving to Phoenix and I won’t need a winter coat!! So I’ll just ogle from afar. I love the red one especially. I’ve always wanted a red pea coat! Ha, that’s a plus. I love coats and I love having proper seasons but honestly, I’d probably be happy if I never HAD to wear a coat again. I find all extra accessories and clothing one needs to keep warm in winter such a burden. Firstly, the title of this post is too awesome. Secondly, totally in love with coats #4 and #6. You have an eye for pretty things!! I hope you’re having a fantastic day! Thanks for pointing that out! I like to have fun with my titles. :D Hope you’re doing great too! 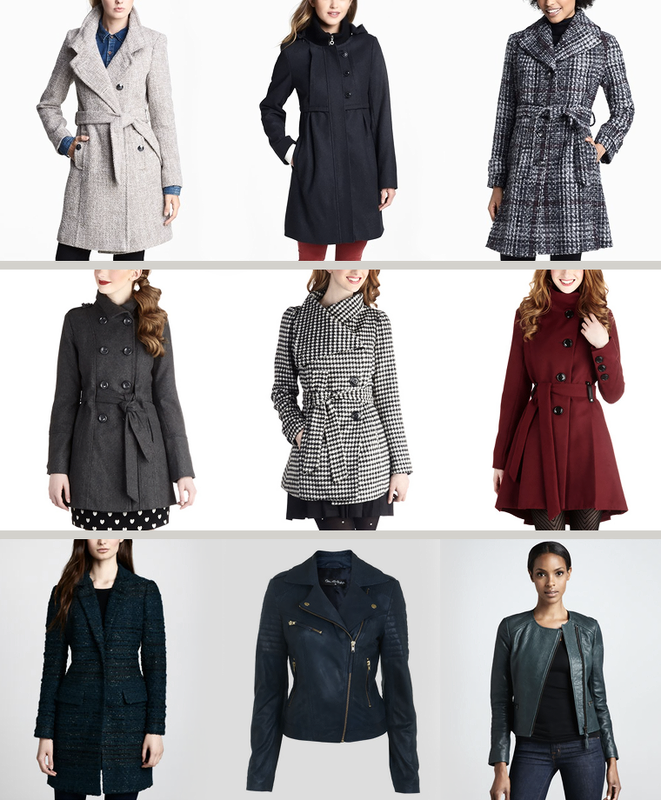 I love the longer coats…so sophisticated looking :) #4 is actually my favorite…and a great price too! It is! I haven’t seen many for any lower. Lovin’ that Winterberry Tart coat. I don’t know if it’s a color that would be good for me, but it sure as hell looks nice. I love these coats! I’ve never owned a long coat because it never got cold enough where I lived. Now that I’m living in a new place where it snows, I’m going to have to start buying coats like these. Hopefully I will be able to find one that’s affordable and cute here! I’m loving #3 and #4.